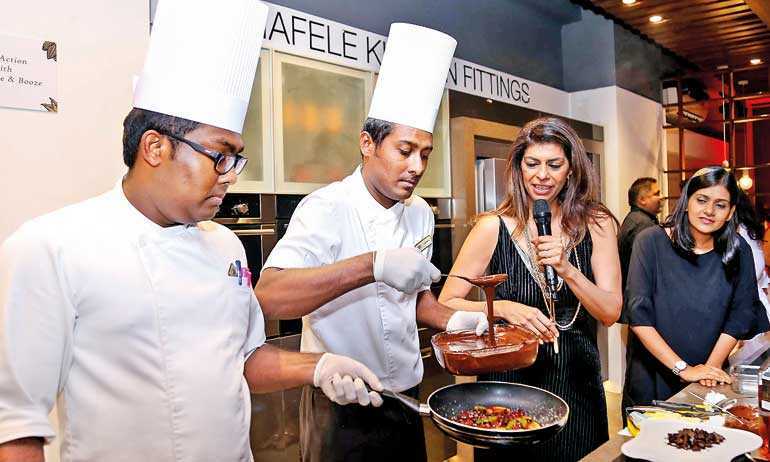 Collaborating with India’s renowned chocolatier Zeba Kohli, Hafele presented an innovative chocolate experience to their guests at the largest state-of-the-art Hafele Design Centre in the heart of Colombo. 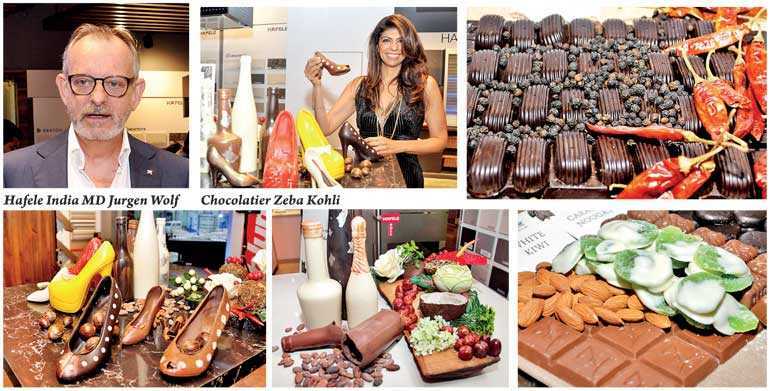 Zeba Kohli created installations and artworks in chocolate that were breathtakingly juxtaposed against the awe inspiring Hafele fittings and settings, to present an amalgamation of innovation, design and functionality through interactive displays and tastings. Being a big fan of Sri Lankan spices and Tea, she showcased her journey of chocolates from the past, the present and where she sees it being in the future. What better way to explain this whole concept than Zeba’s Chocolate Installations at the Hafele Design Centre (Colombo)! A little indulgence of chocolate is like a love affair – an occasional sweet release that lightens the spirit, which one can draw a parallel to when one visits the Hafele Design Centre (Colombo). “It’s been exciting to create installations out of pure chocolate! This evening is truly a coming together of indulgence, luxury and design… a winning combination that those with a taste for the finer things in life will appreciate,” said Kohli.